Charming home in established neighborhood with 3 beds, one bathrooms and 2 car garage access from unit! Fantastic location offers quick access to highways, shopping, dining, and DFW airport! This home offers a beautifully renovated bathroom with bathtub-shower combo, pedestal sink and decorative tile. Kitchen with eating area has 4 burner gas cook top, tile counter tops & gas oven. Living boast laminate hardwood floors, decorative wood-beam ceiling & renovated lighting. Overhead fans throughout home have been replaced. 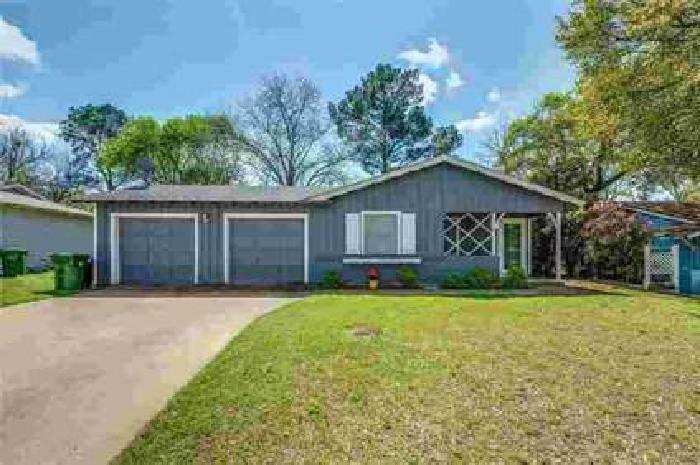 Oversized backyard with mature trees and open patio makes it great for entertaining! H-E-B ISD!! A MUST SEE! Cute three beds home with attached 1 car carport. Spacious bedrooms, living and dining areas. Storage building in back yard.